The Chef Revival J200-S performance series jacket has a mesh back to release heat and keep the wearer cool. Side vents also keep the chef cool while creating an accurate fit. Since it measures 36 to 38 inches in the chest, the jacket is a size small. Double stitching along the sewn areas prevents fraying. Its poly-cotton blend is comfortable and durable. 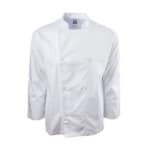 The Chef Revival J200-S performance series jacket comes in white. Size S chest measures 36-38 in. 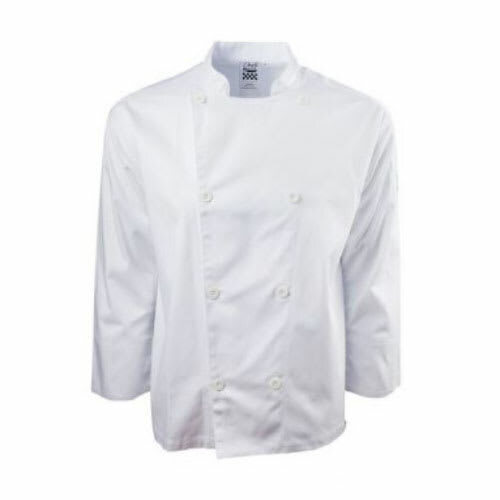 Chefs can dress for success with the help of the chef uniform buyers' guide.